As a result of BAHA’S active surveillance for Avian Influenza, a limited outbreak of Avian Influenza Type A in poultry has been detected in two (2) farms in Spanish Lookout. Containment measures already in effect prohibit poultry and poultry products from exiting the affected farms. There are very little clinical signs in the affected birds and this suggests a low pathogenic infection . BAHA has heightened its surveillance at all other poultry farms. Samples have been sent to a reference laboratory in the USA for confirmation and subtyping. BAHA expects to have the results in 4 days. Further updates will be provided as information becomes available. 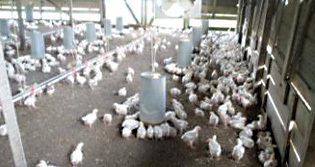 The BAHA, Ministry of Natural Resources and Agriculture, Ministry of Health and the Poultry Industry are collaborating in a coordinated response against this limited outbreak. Commercial and backyard poultry farmers across the country are encouraged to step up their biosecurity measures and to notify BAHA of any unusual occurrence in their flocks. BAHA wishes to reassure the public that poultry meat and eggs are safe for human consumption. BAHA and its partners are taking all the necessary measures to address this disease outbreak. Although it cannot be confirmed at this time, wild bird migration is the most likely source of the infection. Enquiries can be made by calling the helpline number - 605-2100. Contact person is the Chief Veterinary Officer.